recover costs, and increase productivity. Finally a solution to one of the biggest headaches in your supply chain. We turn your surplus equipment, materials, and dead inventory into cash, freeing up space and getting you back to the more important aspects of your supply chain. Space in your facility is critical. Losing it to storing surplus is expensive. Reduce storage costs and get paid to do it! At Superior Asset Recovery we help you win the fight against lost space one square foot at a time. Every link in the supply chain is critical. We take the recovery process seriously. Never worry about a disruption due to recovery again. We make our process as transparent and simple as possible. No more logistics nightmares with on-site auctions. No more waiting on checks from consigners. get paid, and finally get the hassle of managing surplus off your mind. Send us your surplus asset photos or info. Don’t have those? Call us and set up a free on-site consultation with one of our recovery consultants. Expect a formal offer on all assets within 24 hours of your assessment. Payment for your assets delivered to you as soon as 24 hours after you accept our offer. We work around you. Tell us your timeline and we’ll remove your assets quickly and safely. We believe in US manufacturing. From coast to coast we offer our services to help strengthen our customers’ supply chains, helping them meet demands in a fast-paced, ever changing world. 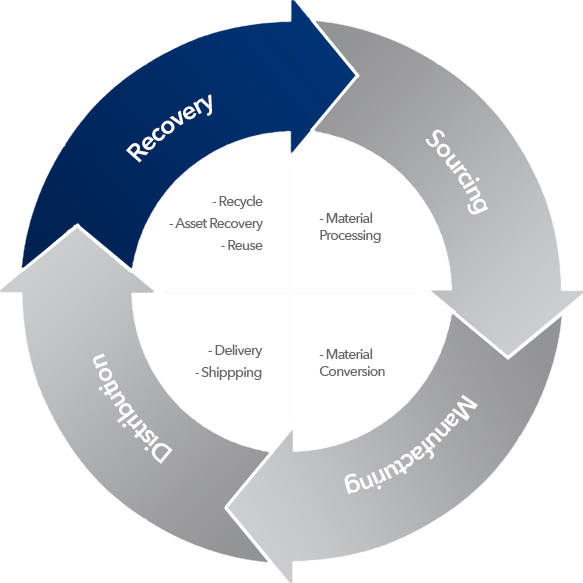 Superior Asset Recovery is there when you need us, no matter the industry. Join the growing number of organizations who are saying no to wasted space, wasted profits, and wasted time on assets they no longer need. Call us today and see how we can help. 24 hour access to on-site storage containers for your surplus material. Once full, we remove your full container and replace it with an empty one. Take as much time as you need filling the on-site storage container. Just give us a call when it’s full.